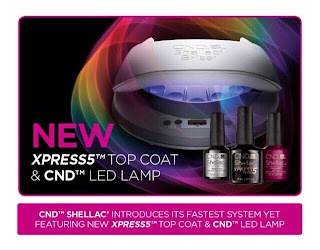 Today the internet has been buzzing with the photos and information on the new CND LED Lamp and Xpress top coat, so I figured I'd put this post together with everything I've found online and my thoughts on it. All photos and the video are courtesy of Instagram, Facebook and You Tube. Let's be honest, it looks amazing doesn't it? Obviously the first thing that's interesting is the fact that you can see right through from the back to the front of the lamp, it's super modern looking don't you think? I'm actually already fantasizing about how snazzy it would look on my nail desk! With just a few buttons it seems so simplistic and elegant. A big plus for me is that the light is only directed to the nail area only. 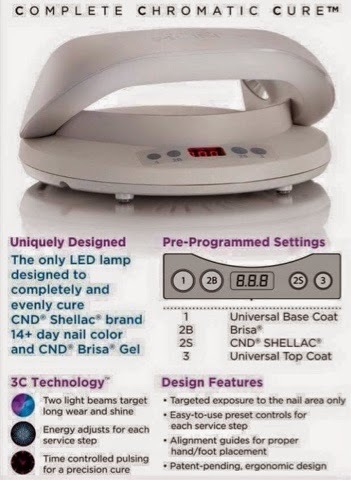 We all know that some clients worry about the UV rays on their hands so I suppose thinking about it, it never really needed to be the entire lamp that lit up. Speaking of UV rays, I hear many speculate about the change in the Shellac packaging must mean that the newer packaged bottles are LED compatible and then the older bottles are not so here are my thoughts. I'm thinking CND wouldn't do that to us. My stock has cost me a small fortune so if I had some shelf sitters with all old packaging then that would make them redundant and therefore, I would not be a happy nail tech. I haven't seen any mention of it as yet but I see quite a few LED lamps that seem to be both LED and UV - perhaps this one has that capability too? It's just a thought anyway which to be honest, I'm hoping it's true! Onto the CND Shellac Xpress Top Coat with a five minute removal time, I feel like this is almost unbelievable. 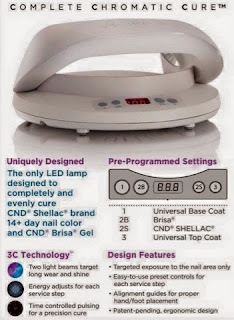 At the moment CND Shellac stands alone as virtually the winner in terms of removal at 8 minutes without even having to faff around buffing each nail before you wrap them. To then slash that removal, shaving off another 3 minutes is unreal whilst still ensuring that the client's wear time is just as good as the standard top coat. 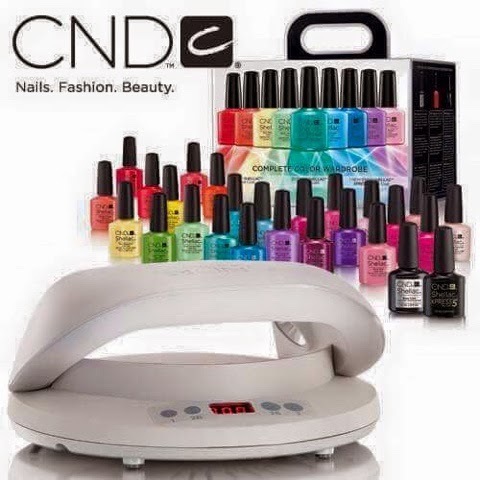 It definitely widens the gap between CND and the other brands! I'm keen to see the pricing on these bad boys although I believe it's not yet been released in the UK anyway. 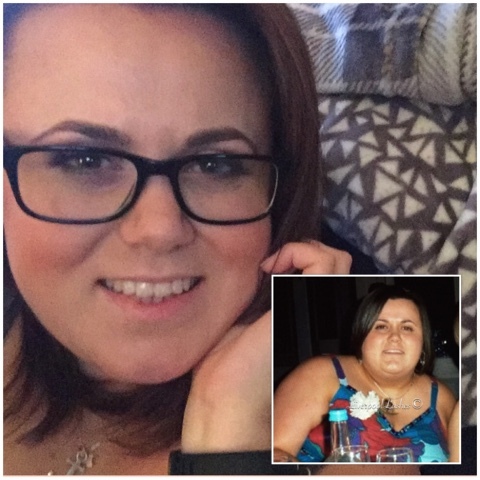 Both products are set to be released globally on the 1st May 2015. I thoroughly expect both of them to knock our socks off. Of course, as and when I get to try them for myself I shall let you know! Please let me know your thoughts on them! Are you as excited as I am? Looks great... will it cure five fingers in the one go?